There is nothing better than meeting friends for a long weekend of golf. As I drove up Route 23 west, to meet my friends in the Catskills, it was raining and I wondered what the weather would hold for us over the next three days. 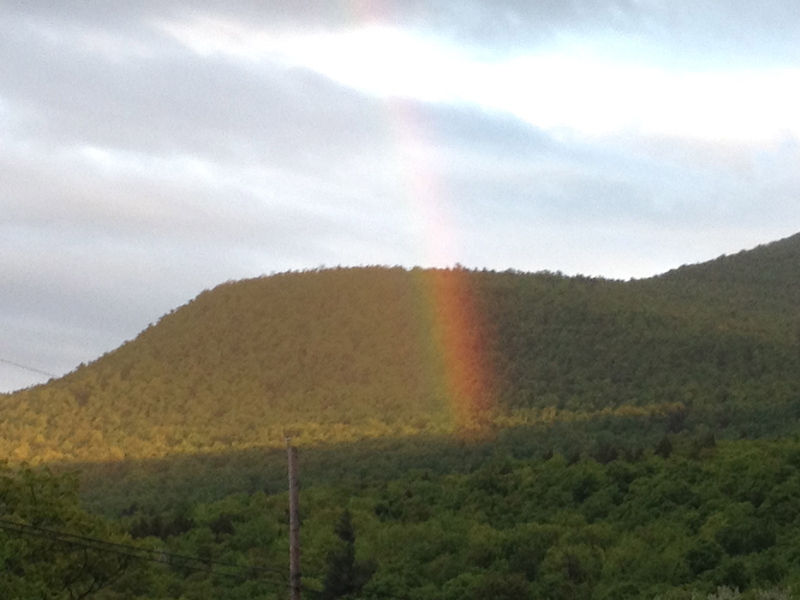 Later that night a beautiful rainbow illuminated the mountain. I saw the rainbow as a good sign because the first course we were playing was the Rainbow Golf Club in Greenville, New York. The other courses we played were Colonial Country Club in Tannerville, New York and Windham Country Club in Windham New York. 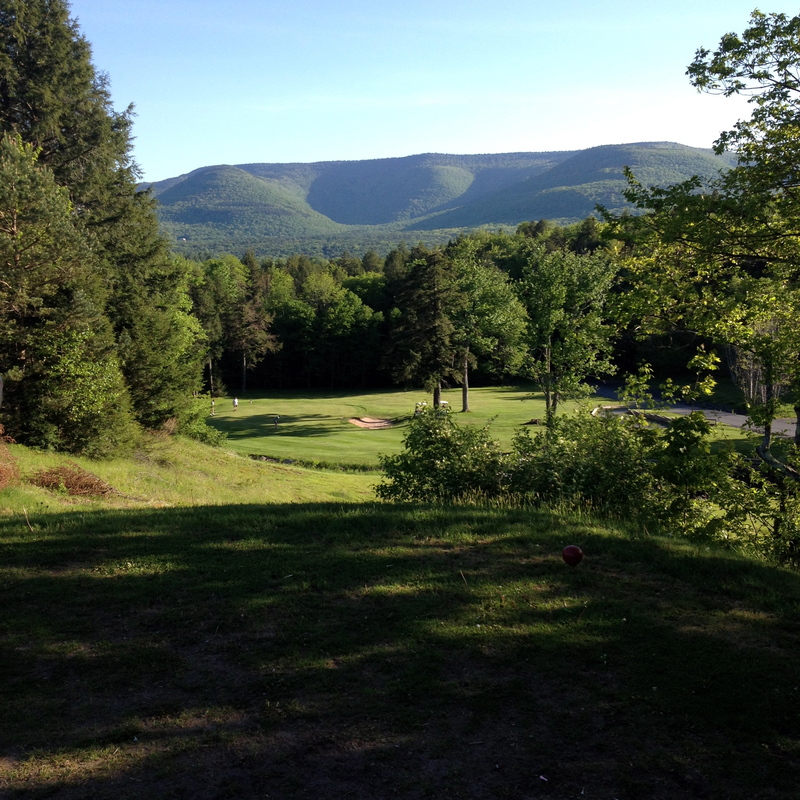 One thing is for sure, the golf courses in the Catskills provide beautiful views of the spectacular mountain landscape. My friends, who are great planners, emailed me a list of golf courses before our trip. I was the one that suggested we play the Rainbow Golf Club because the website had a photo of a beautiful island green. 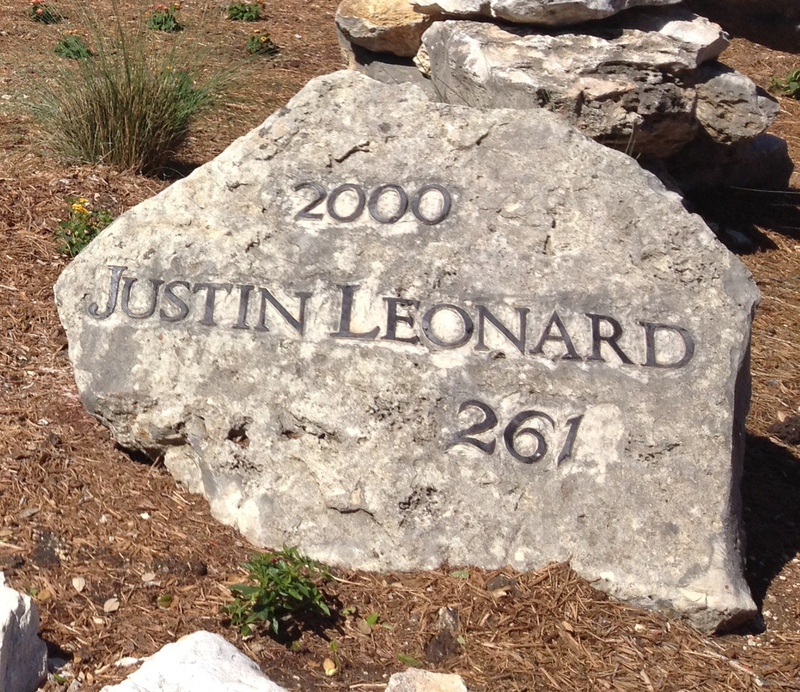 Well, it did have an island green but it certainly was not like the 17th at TPC Sawgrass. The Rainbow Club island green looked beautiful on the website but in reality the water surrounding the hole was cloudy and full of algae (or some green vegetation). Even though the hole was visually disappointing it was still an island green. I am happy to report we all made it over the water. 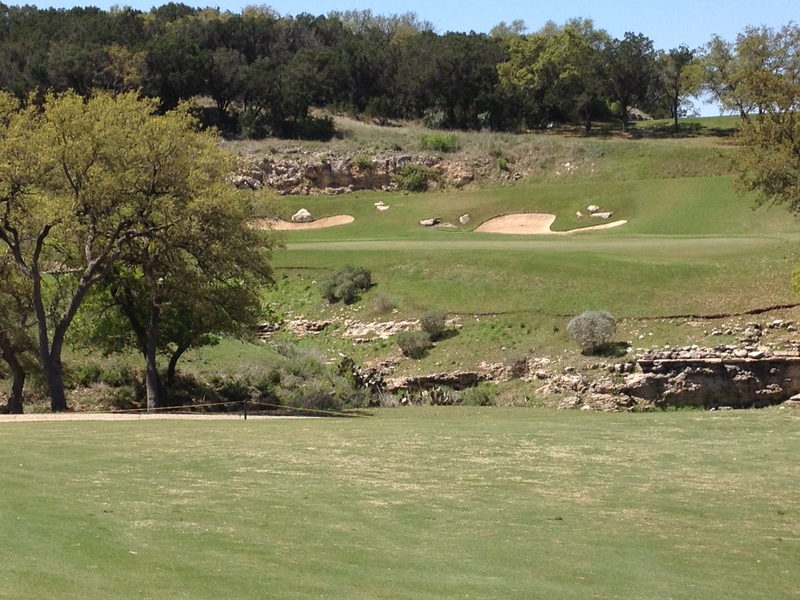 Overall, the Rainbow course was fun and very reasonable in price ($35 w/cart). However, if I rank the courses we played, for me, I would put Rainbow in third place. The Windham Golf Club was the final course of the weekend. The course was a short drive from the Albergo Allegria Bed and Breakfast were we stayed for the weekend. If you go to the Catskills, I highly recommend you stay in Windham. It was a beautiful day for golf and it was very exciting when we were told the owner of the course recently spend 2 million on improvements. It was a great course for women because if you were striking the ball well you could reach the greens in regulation. That is not always true with a lot of modern courses which can be very long for women. There was only one hole that was strangely long. The 8th hole was a 163 yard par 3 and given that the average women hits her driver in the air 150 yards, it seemed unfair to most women. The big negative for the Windham was that the course had no signs. Yes, no signs. A well marked course is important to the enjoyment of the game from many reasons, including keeping players moving along because they know where to go and what yardage to play. And with a course, like Windham, that is in a tourist town it seemed very odd for the course not to have signs. The young man in the Pro shop said the signs were coming but a groundsmen on a tractor told us the “owner doesn’t like the look of signs so he doubts there will ever be signs installed.” We managed to get around fairly well. Also, I guess we were just lucky that various grounds crew were working near by when we had a question on a hole location. The course was in great condition but they really do need to add signs to the holes. My biggest pet peeve is slow play. My friends and I may be women but we play fast. At the Windham course we were to tee off before a foursome of men but the scorecards they gave us did not have ladies yardage so one of my friends had to go back to the pro shop (it was the first time I have ever seen a separate scorecard for women). To make a long story short the men went off the first tee while my friend got scorecards. We did not mind because they said they played the course all the time. We thought “great, we can follow them since the course has no signs.” By the third hole were we so frustrated because the group in front was painfully slow. We were hitting to within 100 yards of the green and just watching them. By the fourth hole they asked if we want to play through because “we were only three players.” We gratefully accepted. I am so glad we played through. By the 12th hole, they were two holes behind us. We were enjoying our lunch in the pub room when we saw the group behind us on the 18th green (40 minutes after we finished our round.) The folks behind them must have been going crazy. If we were behind them the whole time, I might have actually stopped playing and asked for my money back at the pro shop. Here are my questions. Where was the ranger? Why were they allowed to fall so far behind our group? Yes, we played fast but still the group should have not fallen so far behind us. They were certainly playing much longer than what is acceptable for each hole. Anyway, I am thankful we played fast and enjoyed the final round of our golf weekend. The courses we played would not be considered high-end. All were priced reasonably. The only time I felt the price of something was too high was Mulligan’s Pub at the Windham country club. A burger was $12 (other burgers were $14 and some entrees went as high as $23.99) and they did not provide free refills on soda or ice tea. My guess, the owner has to recoup the $2 million in improvements somewhere. The food was good but skip the pub and go in town for lunch. Even with “no signs” and an expensive food, I would rank the Windham course as the top course we played. It gets the top spot because of the fairness of the course for women, the great condition of the course, and the beautiful mountain views. However, if I had been behind the slow group for 18 holes, it might have been the down fall of the course. I hope they add signs and rangers to make sure pace of play does not impact the experience of golfers visiting Windham Country Club. 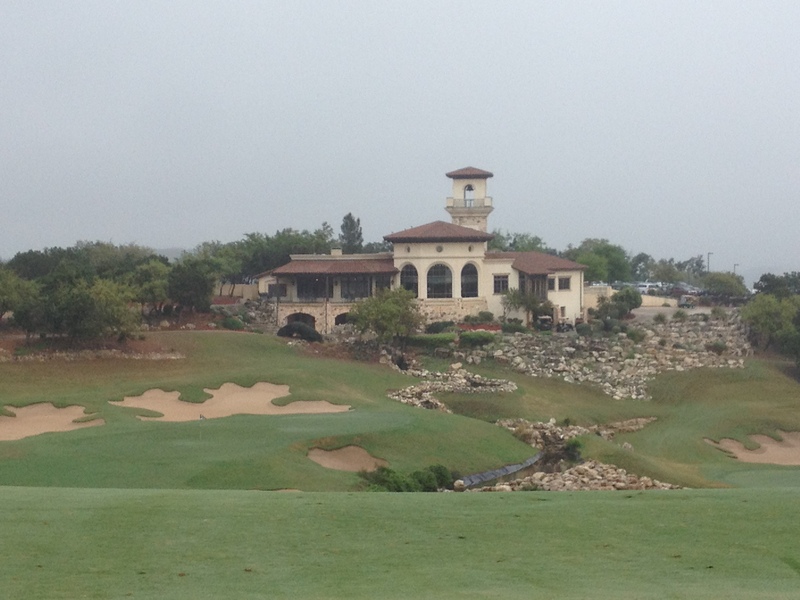 Perhaps there were other courses in the area that might be more high-end but high-end does not equate to fun. Playing with your best friends on a beautiful day on a course that is challenging but fair is what makes golf fun! Next stop, North Carolina. Come back to my blog at the end of June to find out where I played!